Hey Folks!! Hepcat Store Uddevalla, Kustom Kutting and Stålklang are having a Hepcat Day vol.2. in cooperation with Dickies. Don't miss it if you are allready here for the Old Style Weekend. 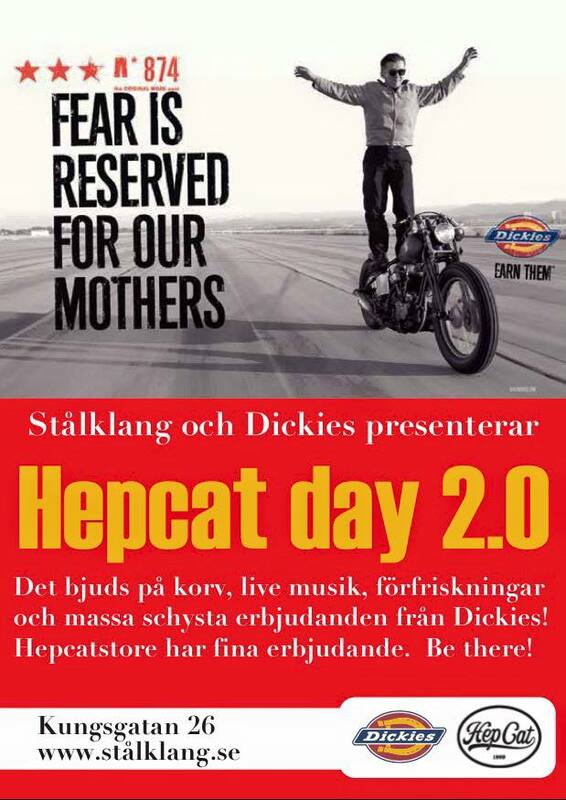 Come to Uddevalla downtown (nearby OSW) the 30/7, 14.00-20ish and have a nice day with refreshments and different offers in HepCatstore Uddevalla!